Ambitious plans to build a new £1million church on the small island of Cumbrae off the Ayrshire coast are fast becoming a reality. The congregation has raised around £200,000 and has secured grants towards the new single story, multi-purpose building which is scheduled to open this summer. The General Trustees of the Church of Scotland has allocated £120,000 - comprised of an interest free loan and a grant - to the project, which will have capacity for 140 worshippers. It is an exciting time for Rev Jonathan Fleming who took up his new post as minister of Cumbrae linked with Largs St John’s in October. 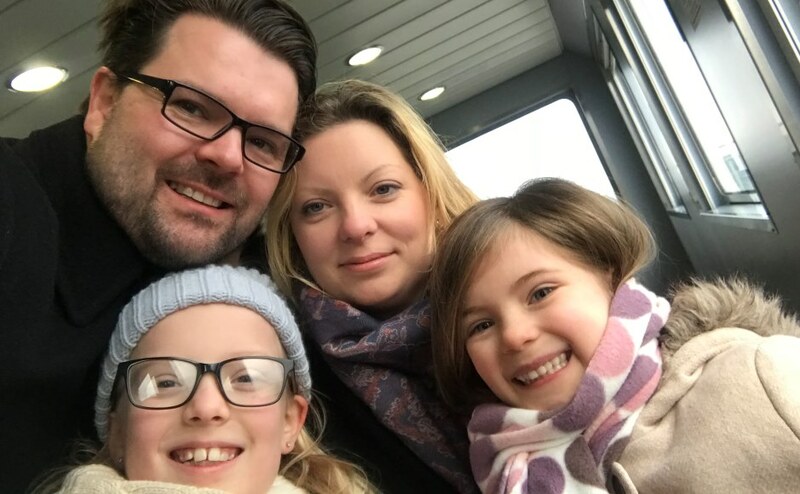 Rev Jonathan Fleming, his wife Karyn and their daughters, Rachel (9) and Hollie (5) heading over to Cumbrae aboard MV Loch Shira. Although the two churches are only 4.4 miles apart, he is based in Largs and has to regularly journey across the sea by ferry to tend his flock in Millport. In his own words, Mr Fleming provides a glimpse into the life of a minister responsible for a mainland and island parish. 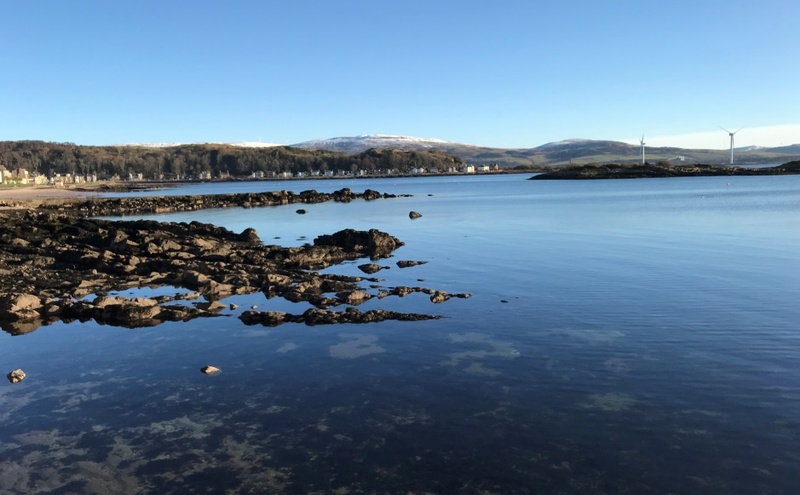 “Excitement is growing amongst parishioners and inhabitants of Millport as they watch their new church building begin construction with a view to being completed by the summer. For the last few years, Cumbrae Parish Church has met to worship in the Age Concern Hall or DA Hall in the Garrison Grounds in Millport where recently the hall has been almost full on Sundays. The new church in Millport will be a lot more than a place of Worship. Through the hard work of Cumbrae’s New Church Focus Group, their locum, Reader Nicky Smith and their previous minister, Rev Markus Thane, who tragically passed away a couple of years ago, the vision of Cumbrae Parish Church not being just for Sundays is soon to be a reality. 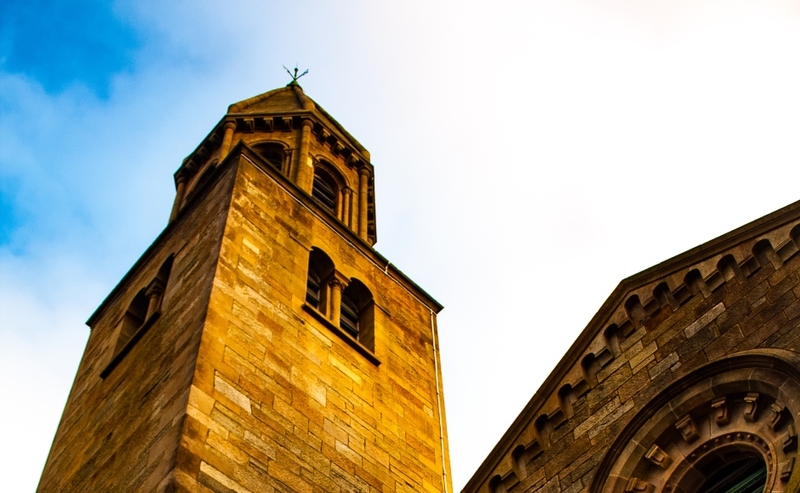 Cumbrae Parish Church hopes that their new building will be a true gift to the community with multi-purpose space, multimedia facilities and kitchen space. A place that we want to see used by organisations and groups from across the island. With a new church building on the island and a brand new school campus in Largs due to open in the spring, it is an exciting time for everyone. I live in the St John’s Manse in Largs with my wife and two daughters and commute across the Clyde on the Calmac Ferry. This means that meetings and services need to allow for me to get back across in time for the last ferry at 8:30pm during the winter months. I never knew that a ten minute ferry ride could be such a tonic because I love to sit outside on the top deck to breathe in the fresh salty air and photograph the beautiful scenery. With two busy parishes, the commute brings some welcome rest and reflection. I currently lead worship in one of the two congregations each Sunday with a pulpit supply rota arranged to cover the vacant pulpit. Hopefully the 0.5 Parish Assistant post, which is soon to be re-advertised, will bring someone to the Ayrshire Coast and some stability to the setup in due course. As the minister of a linkage, my goal is to allow both congregations to maintain their own identities, while doing all they can to support each other in presence and prayer. The main difference for me is that you can often forget that things cannot happen as easily on an island as busy as Cumbrae. With groups and choirs meeting almost every week night, there is only one clear day for church meetings. To allow the congregation of Cumbrae to visit friends and family on the mainland, do a ‘big shop’ etc, service times have to be carefully thought out for Sunday worship. There is also the added complication that your attendance at worship on an island depends very much on the ability to reach the island. When the ferry is unable to sail on a Sunday morning, especially during the winter storms, I e-mail my ‘script’ to Cumbrae’s Session Clerk and members of the congregation happily get involved. I feel very blessed to be the minister of two forward-thinking congregations. St John’s may have a 19th Century Church building, but both congregations are doing all they can to be a part of 21st Century Christianity and the challenges that may consist of. Having both pledged to engage, participate and celebrate during The Year of Young People in 2018, St John’s and Cumbrae are committed to places of warm welcome, relationships and community involvement.